Disney Imagineers spend a ton of time designing and redesigning the attractions at the parks in order to create an immersive experience for every guest from the moment they enter the queue, to the time they exit the ride. No detail is too small to be overlooked and that’s one of the reasons why the attractions at Walt Disney World are thrilling, engaging and magical for guests of any age. While each attraction has its own history and fan-following and therefore deserves to be on this list, we have decided to focus on 10 sensational rides that are the Hollywood blockbusters at Walt Disney World. While it’s not a roller coaster, Dinosaur certainly moves you around enough to make you feel like you’re on one. The combination of fast driving through the Cretaceous era and the close-up glimpse at some incredible dinosaurs (sometimes a little too close), makes for an action-packed thrill ride that should always be on your must-do list. While Expedition Everest gets the glory at Animal Kingdom, Dinosaur has so many little details that you can discover something new each time you ride it. From hearing the crunch of the mighty jaws of Carnotaurus, to the seemingly sharp turns and fast drops aboard the Time Rover, this ride will always be full of excitement. After its 2012 refurbishment, Test Track’s digital testing ground has added a whole new level of interaction for guests. Sponsored by Chevrolet, you are tasked with designing a new concept car to excel in four categories: capability, responsiveness, efficiency and power. Once you’re done with your design, they are loaded into your “Sim-Car” and you head out onto the test track to see how well your design matches up against the other guests in your vehicle. Test Track is both the longest ride (2,486 ft) and the fastest ride (65 mph) at Walt Disney World, which easily makes it the most thrilling ride in Epcot and a definite fan-favorite. In Frontierland in the Magic Kingdom, the Big Thunder Mountain Railroad opened in 1980, just one year after its Disneyland counterpart. Set around the mining town of Tumbleweed, the gold found within Big Thunder Mountain is the reason you’re aboard a runaway mine train. Dynamite, old tracks, desert critters and even a skeleton to pass through fill this ride with plenty to see. It’s difficult to see everything on the first ride through, so be sure to go on it a few times to experience everything. It’s particularly fun to ride at night when the lights inside all of the buildings in Tumbleweed reveal some of the scenes going on inside. The quick twists and turns keep you sliding around inside your mine car and make for the wildest ride in the wilderness. Who’s up for a ride on the new Slinky Dog Dash at Hollywood Studios? Toy Story Land has crowds flocking to it for all the right reasons. This fun, new land makes guests feel as if they’ve shrunk down to the size of toy and are exploring Andy’s backyard with his beloved toys. Slinky Dog has joined in the fun with smooth dips and turns on his roller coaster! This is a great family-friendly coaster that is sure to be a favorite after just one ride. Have a blast with the breeze in your hair… just don’t forget to look around at all the awesome sights you’ll see across Andy’s toy-filled backyard. Finally, pull in for a stop to hear the sweet audio-animatronic Wheezy the Penguin singing for all the Slinky Dog Dash guests to enjoy. Another Magic Kingdom classic, Space Mountain is a sensory extravaganza. Your journey begins as you blast out of Starport Seven-Five, lifting off from a 180-foot tall mountain into space where you are instantly sent into the blackness of the universe. Stars swirl overhead, but you can’t see what’s in front of you as you twist and turn with Starry-O-Phonic sound effects giving you a slight perspective on how you’re progressing through the ride. It’s a wonderful experience because you’re not sure what’s coming next, you just hang on and enjoy the ride until you travel through the wormhole and return home. Another indoor roller coaster, the Rock ‘N’ Roller Coaster takes you on a super stretch limousine ride on your way to an Aerosmith concert. The powered launch takes you from 0-60mph in mere seconds before sending you into the first of three inversions on the only inverted roller coaster in Walt Disney World. Bright neon signs go flying by and you even drive through the famous Hollywood sign as the coaster takes you on a thrilling journey. As the soundtrack to your ride, Aerosmith have specifically mixed some of their iconic songs to accompany you, including changing “Love in an Elevator” to “Love in a Rollercoaster”. The song you hear might be different each time you ride, but you’re sure to feel the full impact of the music as it plays through the 125 speakers and 24 subwoofers in each limousine, pumping out 32,000 watts of power. One of the iconic sights throughout Animal Kingdom, Expedition Everest takes you through the Himalayas most well known mountain. The queue takes you through the artifacts of the search for the mythical yeti, and as you learn some of the folklore and read some of the stories, the anticipation builds before you get to board the “steam-powered” tea train. Once aboard, your journey takes you up the mountain before discovering that the tracks have been destroyed. A wild journey backwards takes you into the heart of the mountain before you encounter the legendary yeti. As one of the most expensive attractions that Disney has ever built ($100 million), the design and effort that the Imagineers put into creating the story really makes the experience incredible. Splash Mountain is one of the iconic attractions at the Magic Kingdom. Based on Walt Disney’s film “Song of the South”, this 11 minute journey takes you through the story of Br’er Rabbit as he leaves the Briar Patch in search for the Laughin’ Place. There are over 100 Audio-Animatronics in this ride and each one helps to reveal more of the story. Br’er Fox and Br’er Bear, who would like nothing more than to capture Br’er Rabbit, can be seen plotting their opportunities to nab our protagonist. The music changes subtly as you progress through the mountain and reaches the climax as you head towards the final 50-foot plunge. This ride is such a classic that you simply can’t miss it, even if you get soaked. Avatar Flight of Passage is one of the two attractions located in the new Pandora – The World of Avatar area within Disney’s Animal Kingdom. Prepare to straddle what feels somewhat like one of those motorcycles at an arcade, be secured in, and then using 3D screen technology, awesome 4D effects, and motion simulation – feel like you are literally flying on the back of a mountain banshee in the most exhilarating way. Your banshee (somewhat like a flying dragon) will soar through the sky as it takes you on the ride of a lifetime through Pandora – The World of Avatar. 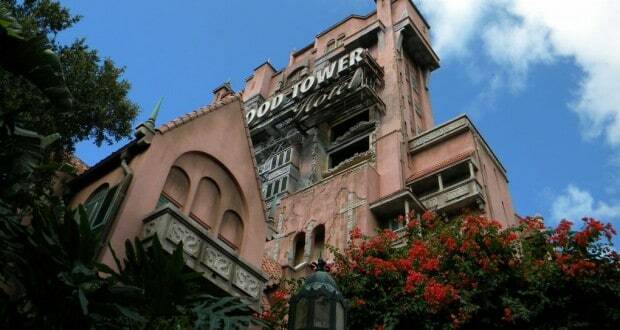 Nestled in Hollywood Studios, the Twilight Zone Tower of Terror takes place in the service elevator of the Hollywood Tower Hotel. This ride is so much more than the iconic ending; it’s an incredibly immersive experience that starts even as you’re walking up to the hotel. The landscaping and architecture set the mood as an old and creepy place to be, and when you enter the building, the cobwebs confirm that something odd has happened in this abandoned hotel. Once you enter the library, Rod Sterling welcomes you to a journey into the Twilight Zone. Actually boarding the elevator, the experience takes on a whole new dimension with some of the best on-ride effects in all of Walt Disney World. The final drops and lifts at the end of your journey are always different so each time you ride, you won’t know what to expect. Ryan loves all things Disney: from the smallest details to the biggest surprises and all of the magic in between. He loves the fireworks of Wishes, the thrill of Tower of Terror and of course, the dining at Disney Restaurants. As of yet, however, he has been unable to replicate his favourite dishes and snacks at home. In between trips, you can usually find him reading about the history of the parks and attractions when he’s not at work for his local public library in Burlington Ontario. Ryan’s favourite Disney moment was proposing in front of Cinderella’s Castle to his (now) fiancée, Lauren.